Some people have started their threads for CSM XI already and election time is closing in on us quickly. CSM X has yet to have their second summit and already there are folks queuing up to replace them. This post is for those running or thinking of running. It is not a ‘how to’ however. It is more along the lines of ‘do you have any clue of what you are getting into’? I have read the candidate posts and am fairly sure that many of you haven’t yet grasped the concept of what is going on and are just x-ing up in hopes you are picked. Some of you don’t even seem to have ever read any CSM minutes or any of the marvelous posts about the CSM that have been produced in the past few years. You can take Sion’s negative view of the recent events, Sugar’s steady blog which notes the week’s doings, or my own irreverent and rose-coloured glasses view of the process. Read the summit minutes and do some research or you are going to be extremely shocked and disappointed when and if you are elected. Starting with the negatives. Nobody is forcing CCP devs to deal with you. If you are an asshat, prone to leaking things or just haven’t a clue, then you will be sidelined quickly. If you turn everything into an argument and then ‘I told you so’ when things go off the rails you should not be surprised as things get more and more quiet. Seriously, if you were a dev would YOU want to deal with such people? It gets worse. While you may be a saint and a blessing to listen to, if there are others on the council that are too toxic, you may be tarred with the same brush. The ‘bonus’ is that there is little you can do to remove a bad member unless they cross very specific lines, like NDA breach or just not showing up at all. For better or worse, you are stuck with them. So watch out for that joke candidate or the angry player with an axe to grind, they may become an anchor that sinks your ship soon after leaving the dock. Even IF you get a good bunch of council members and you all behave, you still don’t get to push your pet projects through. CCP has a road map and you are not going to get them to make a left turn just because you have some great ideas about bringing the Drake back to its former glory. You can advise and backseat drive, but you never have your hands on the steering wheel. The reasons they give you will become a standard litany: ‘not on the map’, ‘would take too much dev time’, ‘legacy code’, or (worst of all) just plain silence and you do not know if you are being ignored or if what you are asking for is just not possible. Give up? Well there are some bright sides to it. While the roadmap may show the big focus there are lots of dev teams working on other things and small side projects do happen. One on one conversations with specific devs may let you bypass a toxic council and remembering that you are dealing with people, not titles, helps. You get to meet the people behind the game and find out that they are often just as passionate about it as you are. But. You get blamed for bad things, yelled at for making changes worse, being powerless or part of some evil cabal that has all the power. You are either a self important blowhard or the current winner of a high school student council with no importance whatsoever. (Anime lied to me). And you work, if you are serious about the task ahead of you it will become something approaching a second full time job. If you have a first job it will eat your vacation time and then some. 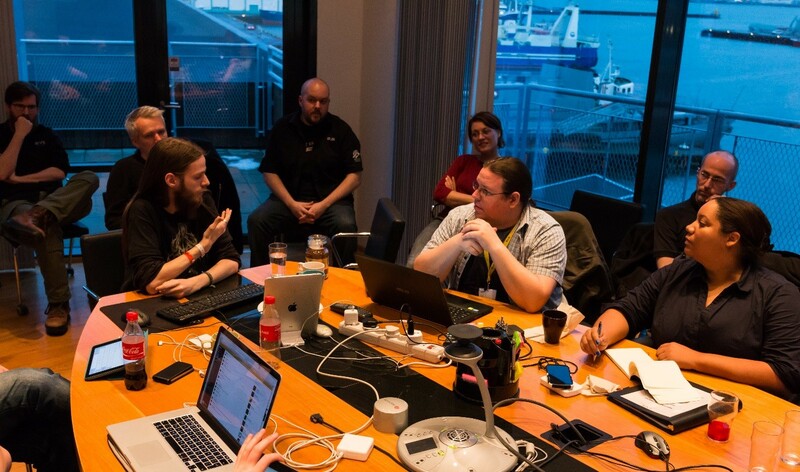 Meetings will happen at the convenience of people in Iceland, not your timezone. You will be constantly watching multiple communications and trying to keep up with what has been said, who said it and where. NDA restricts the access of the other players to see if you are doing anything at all (and a lot of them are positive that you do nothing). That’s a lot of negative and not much positive, so you are probably wondering why I served three terms. The answer is easy. I like doing this. I was willing to take all the baggage and so are other people on the council. Sugar served multiple terms, Mittani tried to, Sion served two and Steve is going to run for his third this coming election. For all the complaining, all the grief, all the frustration we keep trying and keep coming back for more. 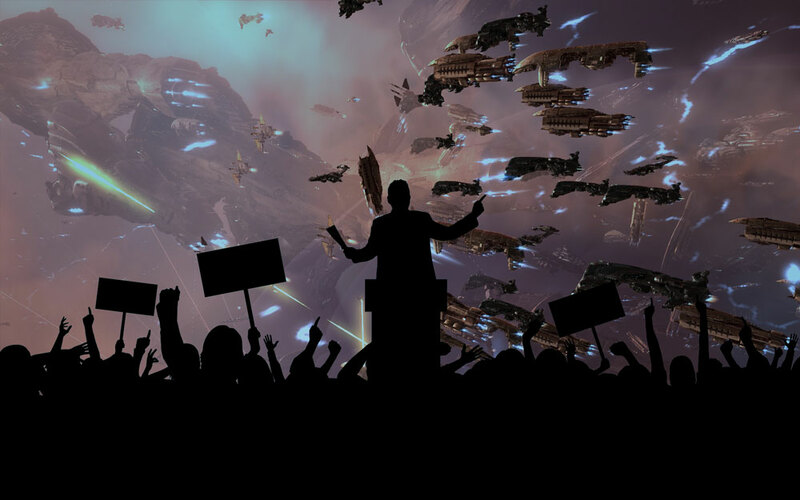 Kind of like the way the rest of Eve players react to the game, itself. Know what you are getting into if you are going to run. If you have questions then ask away. I try to answer my Evemails promptly. If what I have written made it look like a challenge worth taking rather than a warning then maybe you are right for the job. That, or crazy.